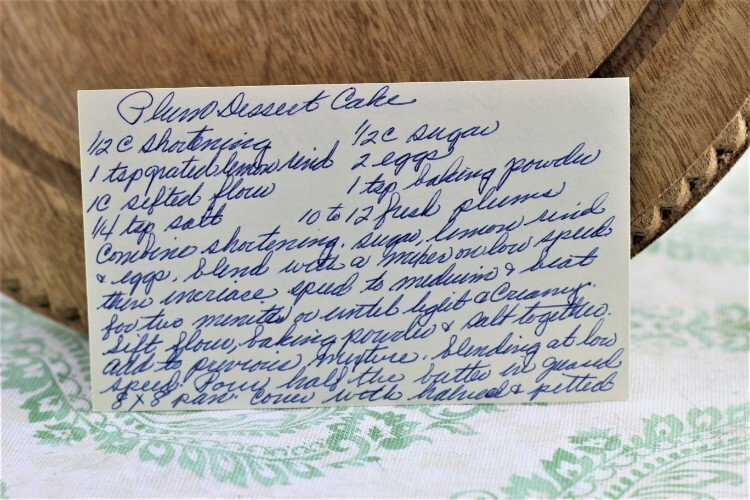 Front of the recipe card for Plum Dessert Cake. 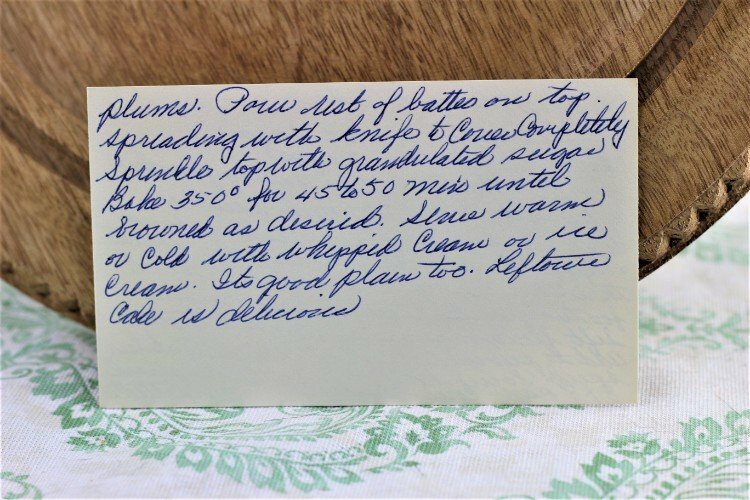 Back of the recipe card for Plum Dessert Cake. 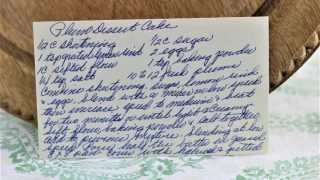 There are lots of fun recipes to read in the box this recipe for Plum Dessert Cake was with. Click here to view all of Vintage Recipe Box 90 recipes. Use the links below to view other recipes similar to this Plum Dessert Cake recipe. If you make this Plum Dessert Cake recipe, please share your photos and comments below! Combine shortening, sugar, lemon rind & eggs. Blend with a mixer on low speed, then increase speed to medium & beat for 20 minutes or until light & creamy. Sift flour, baking powder & salt together. Add to previous mixture, blending at low speed. Pour half the batter in greased 8 x 8 pan. Cover with halved & pitted plums. Pour rest of batter on top, spreading with knife to cover completely. Sprinkle top with granulated sugar. Bake 350 ° for 45 to 50 min until browned as desired. Serve warm or cold with whipped cream or ice cream.